Want adventurous and modern clothing with a retro-vintage twist? How about a touch of whimsy, lots of bold colour and scrumptious prints? I’ve got both hands up! Swedish brand Liandlo offers all this with their collection of children’s clothing inspired by 60s fictional characters Li and Lo. 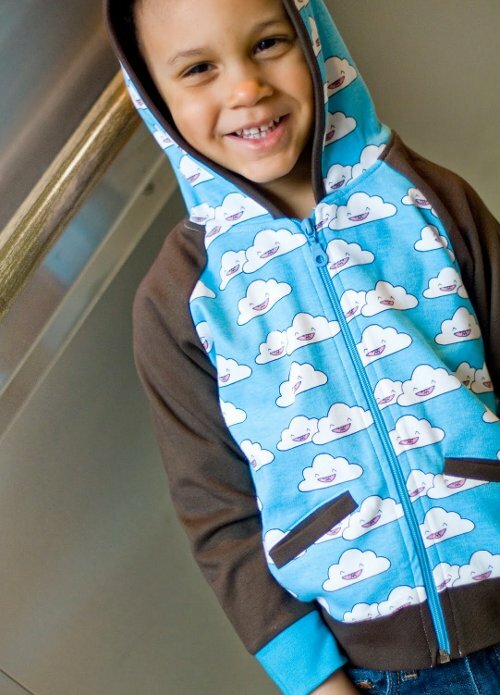 Funky prints such as a toothy-grinned cat, a sweet fawn, happy ‘monster’ clouds (love this! ), little birdies and quirky robots are Liandlo’s trademark. Combine that with a plethora of colours that snap and pop and the use of ecologically grown, Öko-Tex certified cotton and we’ve all got something to clap about. We introduced you to this label back in March and now it’s also available from local webshop Little Styles. Make a beeline to the Little Styles website to purchase with prices ranging from $29.95 to $44.95 plus postage.